Antique and Vintage Bartender’s Guides or Cocktail Books: Vintage cocktail books or bartender’s guides or mixed drink guides. 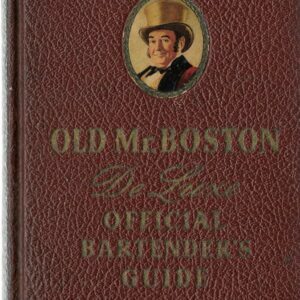 Vintage mixed drink recipes for bartenders, bar men, restaurateurs, or the at-home mixologist. First edition hardback books, as well as vintage pamphlets and cocktail ephemera. 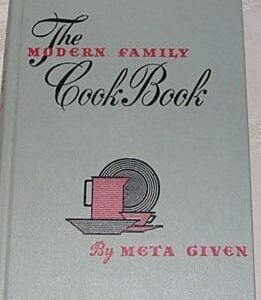 Currently we have: “Your Favorite Cocktail Recipe” Lion Match @ NY, 1929; South American Gentleman’s Companion, Volumes I & II, 1951; “HOME BREWED” WINES and BEERS and BARTENDERS’ GUIDE Secrets of the Liquor Trade, 1915; Latest Edition of the Original Merry Mixer, Schenley, 1936; South American Gentleman’s Companion, Volumes I & II, 1951; Savoy Cocktail Book, 1930, 1976, Arno Press Reprint in Mint Condition; Jayne’s Bartender’s Guide: A Practical Handbook for Professionals and Amateurs, 1934; Old-Time Recipes for Home Made Wines, 1909, 1933; Esquire Culinary Companion, 1959; Curtains Up at Sardi’s, 1957; Fanny Hill’s Cook Book, 1970, First Edition, First Printing; Dining in Chicago by John Drury, 1931; Cocktail Book: Sideboard Manual for Gentlemen, New Revised Edition, 1900, 1913; Story of Wine in California, M.F.K. Fisher, 1962; Old Waldorf Bar Days, 1931, First Edition, First Printing; Old Mr. Boston, 1935, First Edition; Just Cocktails, 1939; Liquor, Loot and Ladies, 1930; Set of Eight “Your Favorite Cocktail Recipe” Lion Match @ NY, 1929; 3 Bottle Bar by H. i. Williams, 1943; The Cocktail Bar by “Charles,” 1960; Wolf in Chef’s Clothing, 1950; Folk Wines, Cordials, Brandies; Ramoses’ Guide: 680 Mixed Wine Drinks, 1974; Famous New Orleans Drinks and How to Mix ‘Em; Cocktail Bar by “Charles,” 1960; Official Mixer’s Manual, 1934; Gentleman’s Companion, Charles H. Baker, Jr., Boxed Set; Famous New Orleans Drinks and How to Mix ‘Em; Professional Mixing Guide, 1950; A Mixing, Swingers Bar Guide; New Orleans Drinks and How to Mix Them, 1973; Here’s How Mixed Drinks, 1941, Three Mountaineers; 3 Bottle Bar by H. i. Williams, 1943, First Edition; How to Behave at a Banquet, 1912; Standard Bartender’s Guide, Patrick Gavin Duffy; Ted Saucier’s Bottoms Up, 1951; Cocktails: How to Mix Them, by Robert; Esquire’s Handbook for Hosts, 1949; Official Mixer’s Manual, 1934; Trader Vic’s Book of Food and Drink, 1946; New Orleans Drinks and How to Mix Them, 1973. We also added many vintage liquor advertising booklets, pamphlets and ephemera, including All In Vue: 84 Drinks for You, 1920s; Southern Comfort, Bacardi, Early Times Kentucky Straight Bourbon Whisky. Liquor, Loot and Ladies, 1930. A Political Novel by Chester T. Crowell.